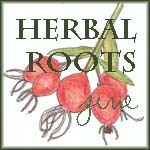 Solstice / Christmas trees can be timely medicine, and a way to bring the magic of your tree to further purpose and honor. If your tree isn't sprayed or somehow compromised, you can easily make a cabinet full of wonderful healing treasures from it, to give as gifts (ask your tree provider for clipping scraps!) or as winter medicines. Elixirs are simple and a medicine easy to savor and enjoy over time. I spend the most part of elixir creating being with the plant; carefully gathering the plant and preparing if for medicine; which might be taking leaves from stems, plucking tiny flowers, clipping needles, or carving bark from twigs. This, to me, is where the culmination of magic and intention is created. By the time I place the charmed plant material in the jar and soak it with spirits and honey, everything is potent with goodness. Then it’s just a matter of letting the osmosis do its part over the next 4-6 weeks before decanting. Conifer needles are rewarding to craft with in the winter; bringing crisp warmth and circulatory support for the lungs and body as a whole. Conifers make exceptional expectorants and additions to cough syrups. To make an elixir, fill a quart size jar full with fresh pine, spruce, or fir needles and a few twigs. Feel free to add some resin drops if you have collected those too. They are common to find on white pine cones – you can pluck off the shingles with spots of resin and add them. Next, fill your jar ¾ of the way up with your preferred alcohol, (drinkable – do not use rubbing alcohol!). Fill the remainder of the jar with a good quality raw/local honey. Add a tight fitting lid, and shake every so often. Be sure to label and date it!! To decant, simply pour through a muslin or cheesecloth lined strainer into a clean glass bowl or pyrex, and pour into your favorite apothecary bottles. This will keep indefinitely if stored out of light and heat. If you have also made a ginger or mint preparation, they make a very fine pair. Juniper, fir needles, pine needles, and various flavorful shrubs that are less popular (like spice bush) make very lovely nuances to cooking and pay homage to the local landscape. First, you’ll want to let your needles dry. Place the whole twigs in a paper bag or cardboard box for about a week. When the needles are dry, they will effortlessly fall from the twigs. Collect the needles, leaving behind ones that have yellowed. – dried onion, dried mushrooms, astragalus, and seaweed for a soup stock/ bone broth making blend. Mix it all together, and place in little baggies or spice jars, with a label an idea for how to use it. You can use a suribachi to refine the blend if you like, or you can offer a gift of the spice blend with a suribachi, and inspire the chef in someone you love. This spice blend is delicious as an infused vinegar – start some now and it will be ready for your holiday feasting! It also makes a wonderful gravy or stuffing flavor. Any way you might use herbs de provence, you can use your conifer spice blend. 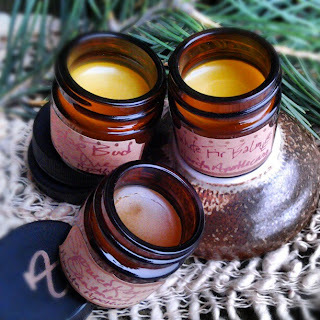 If you know me, I don’t have to tell you how much I love making tree oils and tree balms. White fir being among my ultimate favorites, Yule time is a good excuse to make a batch. First, I let the twigs wilt for a day or so. Then, I pack a jar with needles and twigs (same as I would with the above elixir instructions). Then, cover the plant material with a good quality oil; olive, jojoba, or coconut (warm to melt coconut oil). Add a lid, place inside a paper or canvas bag, and put in a warm spot – near a radiator, wood stove, boiler, or heating vent. Be sure to not create a fire hazard. Let infuse for 1-4 weeks, strain and enjoy as an elegant culinary oil or a medicinal skin care oil. Whit fir needles (Abies concolor) are my favorite so far, for their strong orangey aroma and utter deliciousness. Loose incense is simple, beautiful, and rewarding. Blend your conifer needles (and some small broken up twig pieces) with your favorite fragrant coal herbs. Roses, White Sage, Sweetgrass, Pine resin tears, Cinnamon, Lavender, Rosemary, Frankincense, Copal, Myrrh, and Artemisia are all beautiful choices. Mix together your blend, emphasizing the notes you wish to be stronger by using more of that herb. I generally try my blend a few times on a smoldering coal and adjust of needed before I decide if it is to my standards. Package however you like, with a little instruction note and a roll of self-lighting charcoals and a ceramic incense dish. Wrap some matches and a smudge feather as gifts to make it extra special, or make this for your own circle time. If you're feeling adventurous, you can go for a more complex, Kyphi style incense. Kiva Rose offers a helpful article on the process here. Bundle up your twigs and wrap with natural string, hang and let dry in a ventilated area for about two weeks, out of direct sun or heat. 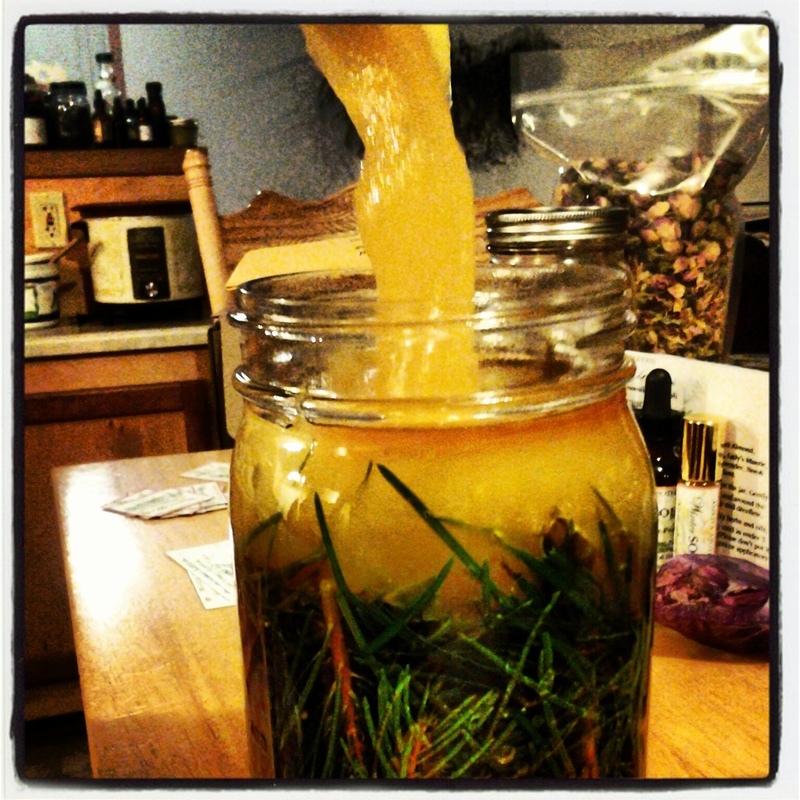 Conifer needles make a delicious ghee. 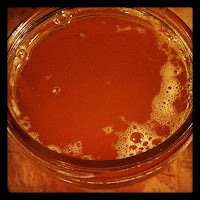 Simply warm the ghee over low heat, and stir in your fresh (1/2 day wilted) needles. Cover, leaving just a crack open at the side of the lid. Let infuse warm for about 8 hours. Strain and jar, letting cool to solid before capping. You can do the same thing to flavor your local pig lard, beef tallow, bear fat, or bacon fat for extra special cooking adventures. 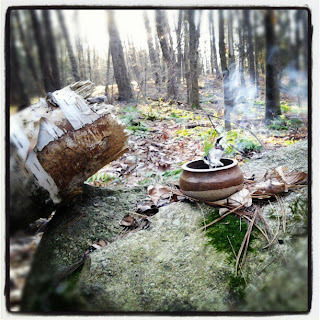 This makes an awesome gift for the hunter, primitive skills folk, or outdoorsman in your life. If you have good clean deer tallow, it makes an incredibly beautiful natural salve when herbally infused. For butter, chop fresh needles and sage leaves, stir into warmed butter, and when cool, roll into logs using parchment paper. You can also make decorative butter pats using candy molds. Refrigerate these herbal butters, and be sure your needles are not too bitter and not too hard to chew. To make a tree needle honey, simply fill your quart sized jar half way full with fresh needles. *taste* your needles to get a feel for the strength and bitterness! Fill your jar with good honey, and each day invert the jar so the honey completely saturates the needles. If this step is missed, your honey could either mold or ferment. If done properly, your infused honey will last you all year long (or longer) whether you choose to strain it or not. Personally I rarely strain my honeys. 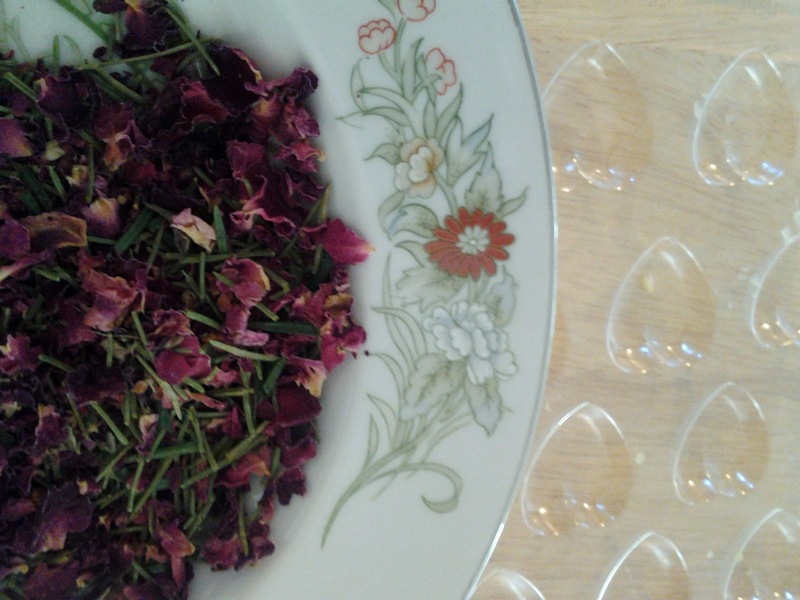 I like the crystalline herb leaves and petals, and add them to my tea as well. When I've gotten all the honey I can, I use the rest to brew a nice strong pot of tea or syrup, or I freeze it to use over time. Tree needle honey is beautiful for everyday use, but especially helpful for the lungs when expectoration and loosening of congestion is needed. It is mildly stimulating to the mucosa and would be less desirable for an extremely dry condition. In that case, I would first use demulcents, and then a small amount of the tree needle honey. A shrub or oxymel is a mixture of vinegar and honey that is infused with herbs. It’s a traditional preparation (common in the Appalachia region). 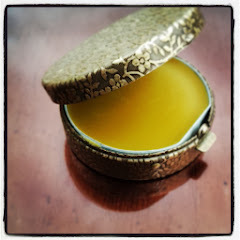 It makes a great gift and a very nice remedy for coughs, colds, and the flu. It’s awesome in salad dressing and sparkly beverages! 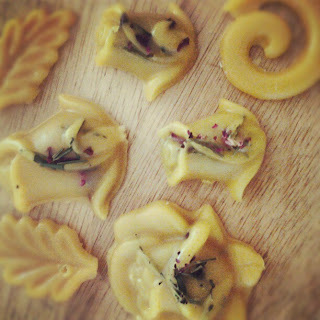 Shrubs are a world of herbal fun and extremely easy to make. Fill your quart or half gallon sized jar 1/3 of the way with plant material, dried or fresh. Cover the herbs well with good honey. You want to stay around the 1/3 amount of your total … unless you like your oxymel really sweet. Fill the rest of the way with apple cider vinegar, or other favorite naturally fermented vinegar (avoid distilled vinegars like white vinegar.) Cover and infuse for 5-20 days. Strain if you wish. We like to make individual bottlesfor gifts. If you have homemade vinegar, or home harvested honey, that’s really special! Vinegar is a deeply nutritious preparation used for food and medicine. Vinegar withdraws all of the minerals from our plant friends and is excellent for our bone health, digestive health, and circulation. Tree needle vinegar is unique and wildly flavorful! First, make sure you have tasted your needles. Add less if they are very bitter, more if they are less bitter. Fill your jar 1/8 to 1/4 way full with needles, fresh. Fill to the top with good vinegar, and let infuse 3-6 weeks. Use a plastic lid, or on with a rubber gasket, as metal will rust. Conifer needle vinegar can also be packed with items you wish to brine …. Hard boiled eggs, Olives, Carrots, Burdock roots, Turnips, or Beets – just add them to the jar before you pour the vinegar. Juniper – Pine gin, with a pinch of mugwort and lavender. Mmmmm a very classy gift indeed. How about an herbal smoking blend and a corn cob pipe with that? 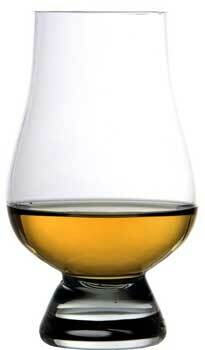 How about a fancy flask or a witchy spirits glass? - pinch of grated nutmeg, pepper, or cardamom if desired. -Keep out of reach of children and away from fire hazard areas! Let extract for at least a week. If you’re in a time crunch, make in individual bottles so you can leave the herbs in, simply label it with a “ready by” date for the recipient. Chances are it will be potent even after a few days. Bay leaves, Sweet gale, or Eaucalyptus leaves. Bark pieces, small … oak, paper birch, or shagbark hickory, if you like to gather these. 20 – 40 Orange essential oil if desired. Mix with a metal or glass spoon, and place in decorate bowls, glasses, or sachets wherever you like. Play with the amount of essential oils - this is a forgiving recipe and you have all the room in the world to use less or more, and other oils you might wish to try. Fill a muslin bag with equal parts conifer needles, roses, and peppermint. Add to your bath as it fills for a gentle healing tub for kids and adults alike. For a bedtime blend, use lavender, chamomile, hops, or jasmine in place of the mint. Oatmeal is a very nice addition as well. An intense herbal brew for your days hiding in the Cave. Into a pot on the stove or wood stove, add 2 to 3 quarts filtered or well water. ~ 1, One inch sized root of Osha, dried. Directions: Gently simmer all ingredients for 30-45 minutes (longer will make it stronger). When ready, ladle out cupfuls as you desire, into your favorite mug. 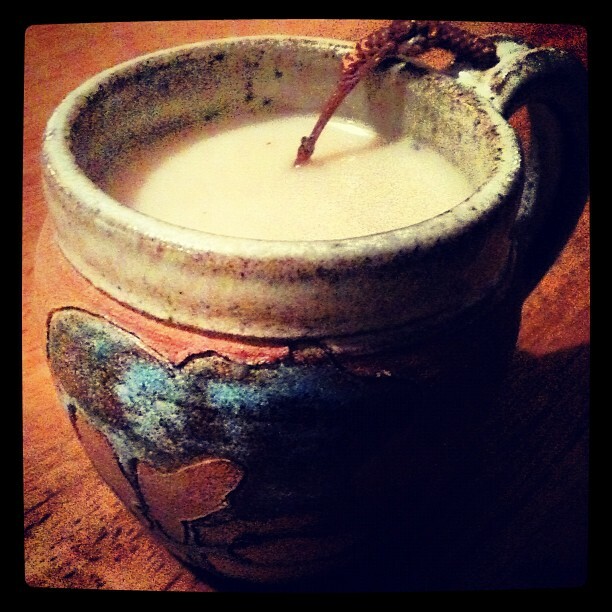 Add cream and honey and herbal elixirs as desired. Enjoy. 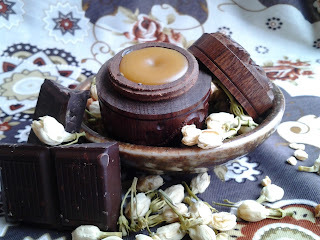 Using candy molds, sprinkle bits of needles and petals into each one, and pour over with melted beeswax. When partially cooled but still soft, use a toothpick to poke holes for string. If you're in the mood to make a pine syrup, you can reference my previous article on the process HERE. Love the wild incense idea! Gonna give it a try, thanks! I made the pine elixir. Now that I have decanted I am wondering how to consume! How much per day? Drops, a spoonful, etc. Thanks for all the great ideas. That's great! You can use the pine elixir for pure enjoyment, or to help clear congestion and support circulation. So glad you made some!